Some call him the “Father of American Fire Service”. He started the first fire department ever, was a volunteer firefighter, and went on to create a fire insurance company. Benjamin Franklin moved from Boston to Philadelphia at 18 but when just 6 years old he witnessed a major fire where 110 families lost their homes. This was obviously a defining moment for him considering what he went on to do. In 1735, Franklin sent an anonymous letter to his own local newspaper entitled “Protection of Towns from Fire”. He advised: “An Ounce of Prevention is worth a Pound of Cure”. He then created a fire brigade called The Union Fire Company with volunteers. The volunteer fire department offered members an opportunity to improve their city and themselves. This motivated other groups of people to open their own volunteer brigades. These types of associations, formed by individuals who chose to help each other for the good of society, would eventually set the stage for professional organizations and raise standards of living across America. In 1752 Benjamin Franklin and his fellow firefighters founded The Philadelphia Contributionship, the nation’s oldest successful property insurance company. “Contribution” was defined in Sheridan’s dictionary as “that which is given by several hands for the common purpose,” which lead to the company’s mission of providing protection for its neighbors. “Protection” – This word can have many meanings. Learning all about Benjamin Franklin during my trip to Philadelphia got me thinking about the spirit of American culture, helping others, and protection from danger. These ideals are good basics to remember in life and in business, especially the life safety business where products are being used to protect people. I personally connect with these principles and my work at Space Age allows for the realization of these ideas. Being involved in volunteer organizations like NFPA, AFAA, and NEMA allow me to contribute back to our country, cities, industry, and people. 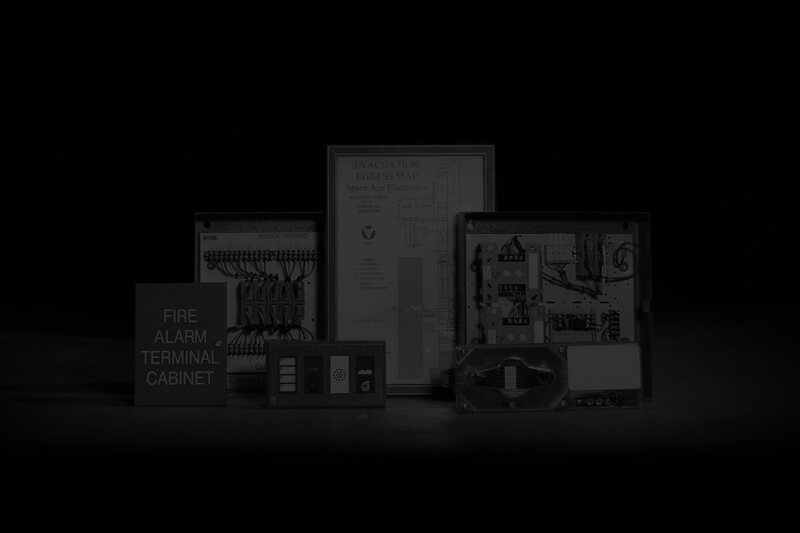 One of our recent projects created a new and improved surge protection device to protect fire alarm control panels so these critical pieces of equipment can warn people of impending danger and notify them to exit / egress from the building, thus saving lives. The need to keep these early warning systems active and functional is extremely important so we don’t repeat the horrific fire events in our country’s history. The concept of protecting the fire alarm equipment that will then protect people makes a lot of sense to me and I’m proud we continue to improve on this mission. Why be reactive when we can be proactive. Benjamin Franklin’s timeless advice of “An Ounce of Prevention is worth a Pound of Cure” still holds true 280 years later. He was a politician, printer, inventor, diplomat, author, scientist, and fireman. He will forever be remembered as a man of many talents. 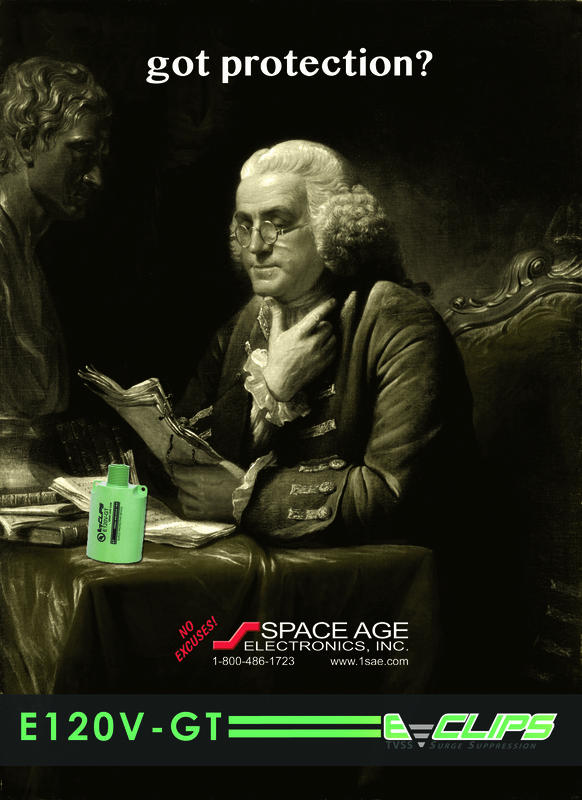 So if you get a chance to visit Philly, stop by all the Franklin monuments or take a guided carriage ride around town to learn more and if you get a chance to install or inspect a fire alarm system, connect an E120V-GT surge protector to it. You’ll be glad you did. ← To Surge or Not to Surge? Where do YOU stand?